Usually when I start these annual reviews I mention how the past year was one of the best for music that I have had. It’s easy to take that for granted but the truth is that the quality of the performances seen this year has been remarkable. Part of that of course is planning – if I’m going to make the investment in travelling to see a show then one usually has a good idea in advance of whether it will indeed provide some musical and dramatic reward. Sometimes, of course, there can be disappointments but overall, this year has once again been an excellent one for opera. This year I travelled over 92 000 kilometres – over twice around the world – to see 91 shows in 40 venues, in 24 cities, in 14 countries. 2016 took me from San Francisco to Warsaw, Oslo to Lisbon and many other places in between. Readership for the site has held up nicely with another increase of 100% on last year and there is a growing number of readers who receive every feature directly to their inbox by subscribing (enter your email in the box on the left-hand side of this page if you would like to never miss another review or interview). I’d like to thank those who help keep the site running through their donations on the Patreon page that I set up for this site. 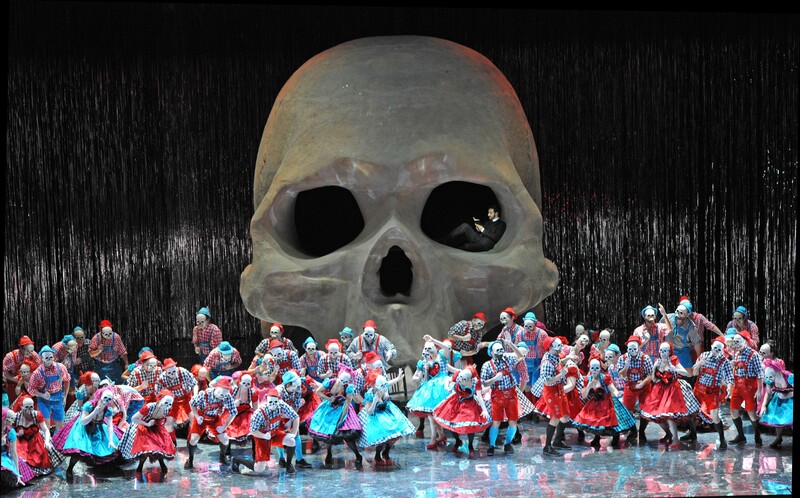 Thanks to you I was able to include shows such as Iphigénie en Tauride in Hamburg, Fidelio in Stuttgart and Don Pasquale in Kraków in the shows that I was able to review for the site. As always, one of my biggest pleasures is seeing young artists at the start of their careers and this year was no exception in that regard. I enjoyed Jonathan McGovern’s recital at the Wigmore Hall, Kate Lindsey in L’étoile at the Royal Opera, Levent Bakirci in multiple roles in Z Mrtvého Domu in Nürnberg and Caroline Wettergreen as La Fée in Cendrillon in Berlin. Then there was Berit Solset who sang the soprano solos in a Schöpfung in Madrid. Solset is the real thing, a soprano of unblemished purity with incredible musicality and the kind of understanding of this music that cannot be taught. Do look out for her. Most strikingly perhaps were the three outstanding young soloists who sang in Calixto Bieito’s shattering staging of Britten’s War Requiem in Oslo – Natalia Tanasii, Evan LeRoy Johnson and Johannes Kammler – the production itself seemed perfectly married to the music, outstandingly well executed by the large forces but also showcased three young singers with very bright futures. We are all very much aware of how awful a year 2016 was in politics, especially in the UK where the future seemed to have been taken away from us overnight by the forces of division and hate. Art has so much to say in times like this and Bieito’s staging of La Juive in Munich felt especially timely. A meditation on the damage caused by hate felt especially raw and it was well sung by a fine cast. Roberto Alagna was stretched at times by Eléazar but his impeccable French diction gave much pleasure while Aleksandra Kurzak was a moving and vocally fearless Rachel. The Bayerische Staatsoper was this year again my second-most visited theatre and I saw some superb shows there – Mariusz Kwiecień and Alex Esposito gave a masterclass in inhabiting their characters both vocally and dramatically in an excellent Figaro with Tara Erraught giving a creditable role debut as Susanna. A Lucia was seen in a gripping staging by Barbara Wysocka and benefitted from the insightful conducting of Oksana Lyniv. Both Jessica Nuccio in the title role and Charles Castronovo as Edgardo were excellent. There was also a Favorite with a wordless but vocally refulgent Elīna Garanča with Matthew Polenzani giving an enormous amount of pleasure as Fernand with his impeccable diction and easy line. The cast also benefitted from Kwiecień’s presence as a stylistically impeccable and dramatically riveting Alphonse XI. A splendid Tosca showcased the remarkable Sondra Radvanovsky singing with glorious amplitude and a freedom of production that was captivating. There was also a Ballo that showed Piotr Beczała to be a paragon of style if somewhat stretched by that final scene. 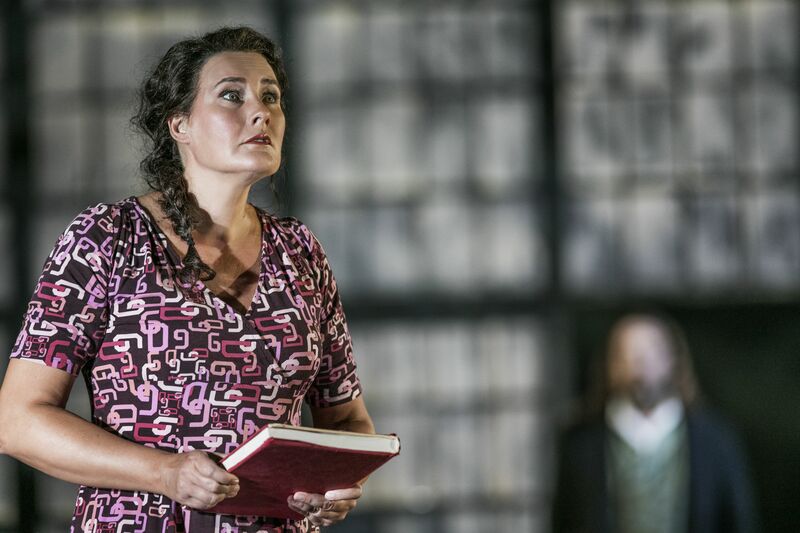 It also introduced Anna Pirozzi as a very last minute replacement for a certain Hellenic-German soprano. This assignment didn’t quite show Pirozzi at her best but there was promise there. Indeed, back in London a Trovatore at the Royal Opera proved that Pirozzi really is one of the most exciting Verdi sopranos before the public today. The voice has amplitude and a distinctive tone. I get the impression that she might suffer from nerves but make no mistake, Pirozzi is the genuine article, a real Italian, Verdi soprano. That Trovatore also showcased Gregory Kunde as Manrico still thrilling audiences in his splendid vocal Indian summer. There’s still tremendous ease there but also a lifetime of understanding too especially in how he ornamented his ‘di quella pira’. His Arrigo in the València Vespri was also superb. A Lucia on Bow Street was sadly hampered by a less than convincing Katie Mitchell production that left much of the action out of the view of the audience and Diana Damrau who wasn’t on her best form. Sonya Yoncheva was a brave Norma with Joseph Calleja a honeyed Pollione but the evening was let down for me by Antonio Pappano’s saggy conducting. Vittorio Grigòlo, a singer who has infuriated me in the Italian repertoire, showed what a fine singer of the French repertoire he is with an outstanding Werther and a wonderfully lyrical Hoffmann, the latter in a staging that was well past its best. Ermonela Jaho was absolutely devastating as Suor Angelica proving that she is a singer surely destined for greatness. There was a Così in an interesting staging that was hampered by pedestrian conducting by Semyon Bychkov but was worth seeing for Daniel Behle’s beautifully-sung Ferrando. The Royal Opera’s finest hour this year though was a revival of the Brussels’ staging of Enescu’s Œdipe. Extremely well conducted by Leo Hussain and cast from strength, it was dominated by Johan Reuter’s musical and deeply intelligent reading of the title role and Marie-Nicole Lemieux’s fabulously virtuosic cameo as la Sphinge. Sadly, I only managed to see a couple of shows at English National Opera, a revival of Zauberflöte with Allan Clayton a musical and effortlessly-sung Tamino. I would have liked to have seen more at ENO but unfortunately the runs seem to be getting shorter and it was impossible to integrate their Tristan and Lulu into an already crowded diary. I was pleased also to pay a first visit to Lisbon’s beautiful Teatro São Carlos, home to an outstanding chorus and orchestra. Leo Hussain conducted his second Oedipus-inspired opera of the year, this time Stravinsky’s Oedipus Rex with a fine Austrian-Portuguese cast. It’s a jewel of a theatre and one that’s most definitely worth visiting. This year was also a very fine year for tenors. Russell Thomas was absolutely superb as Stiffelio in Frankfurt. As soon as he opens his mouth, one becomes aware this that this really is a very rare talent. There’s a warmth to his singing and an instinctive musicality that is something very special indeed. Likewise, Andreas Schager was an exhilarating Erik in Holländer in Hamburg – this voice has stunning amplitude but he can also pull it right back to a thread of sound. 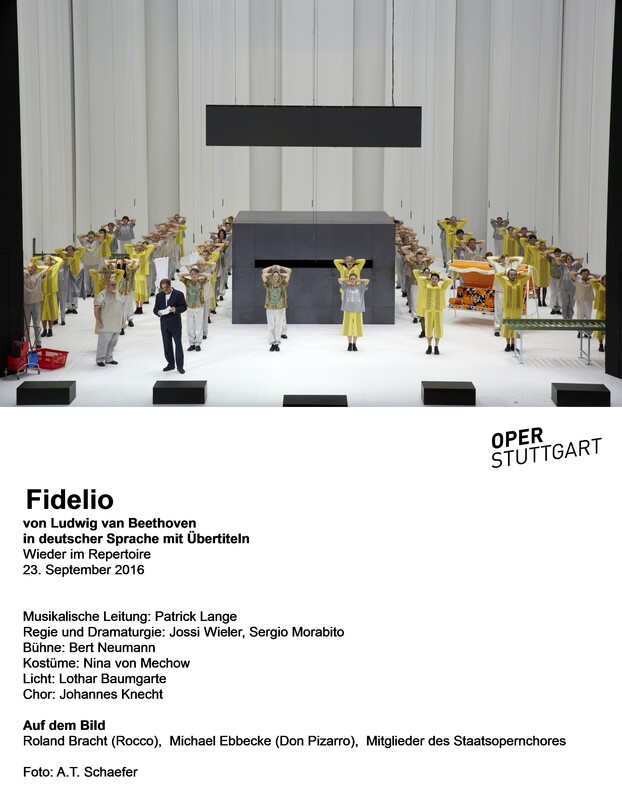 Eric Cutler impressed also as Apollo in Daphne also in Hamburg but it was his Stuttgart Florestan in Fidelio that was really exceptional. His first entry started from nothing and rose to a massive roar one that exemplified Florestan’s pain and isolation in the most captivating way. All three gentlemen really are in their prime right now. Things do in fact come in threes with three each of Holländer, Iphigénie en Tauride, Clemenza and Vĕc Makropulos this year. 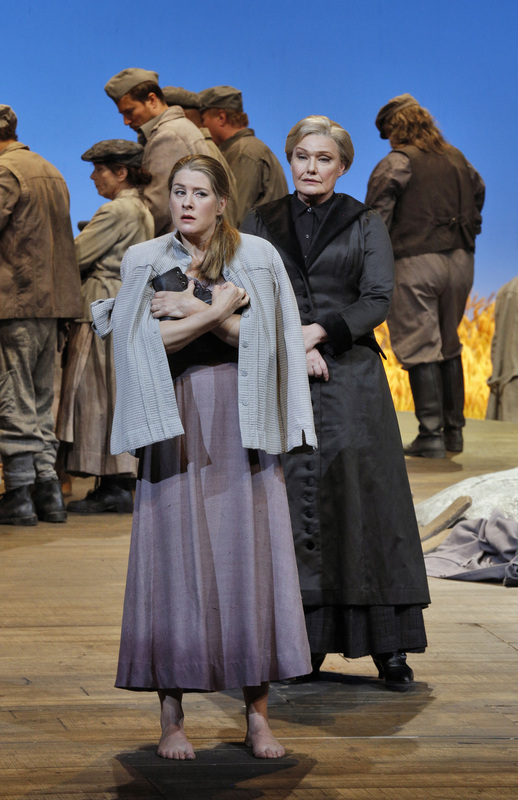 The Hamburg Holländer also showcased Ricarda Merbeth’s Senta who also sang in in Madrid. Her Senta shows both the fruits of long study and also a rock-solid technique that allows her to sing with fabulous amplitude and healthy tone. 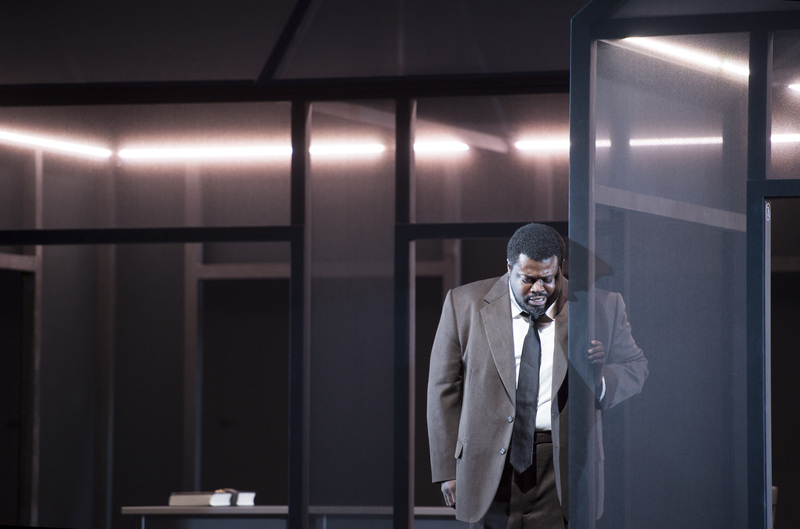 In Copenhagen Johan Reuter was a musical and implacable Holländer with Ann Petersen a moving and riveting Senta in Jonathan Kent’s perceptive and harrowing staging. 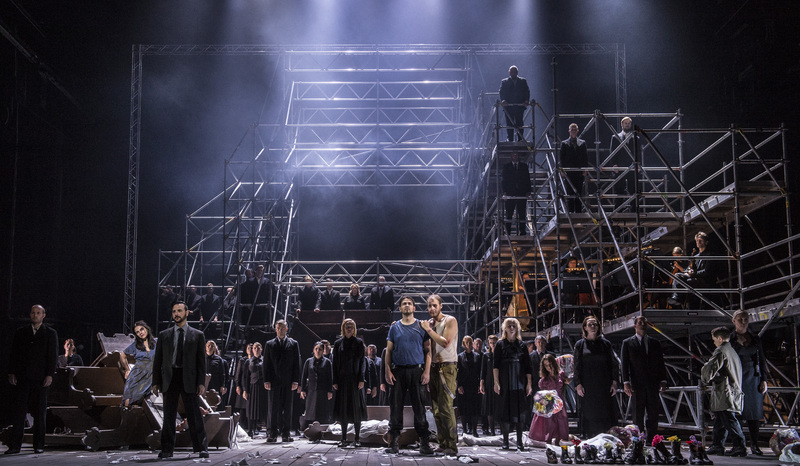 Iphigénie was well served in English Touring Opera’s production which had been well cast, while in Hamburg Anna Caterina Antonacci’s Iphigénie was marked by the passing of the years. That evening benefitted from the excellent Viktor Rud’s Oreste and Rainer Trost’s impeccable Pylade with Riccardo Minasi’s visceral and engaging conducting. At the Opéra de Paris, Véronique Gens once again hit greatness as Iphigénie. Her understanding of this music is profound and her sheer stylistic mastery is quite marvellous. Joined by a masculine and effortless Oreste from Étienne Dupuis and a lyrical and honeyed Pylade from Stansislas de Barbeyrac, the evening was sadly compromised by Bertrand de Billy’s pedestrian conducting. I found Krzysztof Warlikowski’s staging to be deeply moving if ultimately flawed due to him placing the chorus in the pit with the balance issues that that produced. In Warsaw, Anna Bonitatibus made time stop with her Sesto in Clemenza, while in Madrid Karina Gauvin swept all before her with her dramatically imperious and vocally magnificent Vitellia. Jeremy Ovenden was a Tito who seemed to relish all the challenges thrown at him. In Vienna, Benjamin Bruns was a musical and fluent Tito and in Madrid he later sang a superb Erik, demonstrating perhaps the importance of Mozart to a healthy technique. At the BBC Proms Karita Mattila was a commanding EM in concert while in Flanders, Rachel Harnisch was a sophisticated EM in an engaging sci-fi inspired production by Kornel Mundruczó that had been very well cast with experienced and young talent. The standards of the Flanders house really are on a par with the biggest international houses. I was glad to be reacquainted with the late Patrice Chéreau’s Elektra staging at the Liceu. It convinced me so much more this time than it had done previously and was dominated by the great Evelyn Herlitzius proving that she really is one of the greatest Elektras of all time. 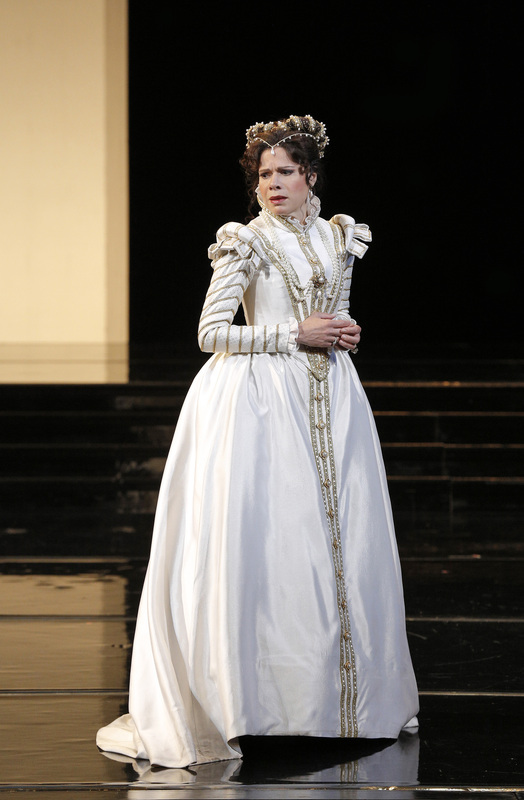 She also appeared in the role in Berlin as part of a Strauss Festival organized by the Deutsche Oper. Thanks to them we got to see a splendid company Rosenkavalier with a winning trio of Michaela Kaune, Daniela Sindram and Siobhan Stagg giving an enormous amount of pleasure. There were some rarities too with an ägyptische Helena superbly sung by Ricarda Merbeth and Stefan Vinke and a Liebe der Danae that was also extremely well sung with Manuela Uhl in the title role. I must say though I’m still wondering what that suspended piano was there for. In addition to the aforementioned Hamburg Daphne there was also a Salome in Warsaw in an enigmatic staging by Mariusz Treliński with Alex Penda on electrifying form in the title role. Also in Poland, there was a terrific Don Pasquale in Kraków, extremely well performed by the house forces that showcased an appealing Ernesto from Andrzej Lampert, Alexandra Flood’s vivacious Norina, Grzegorz Szostak’s Pasquale that still had lots of voice and Mariusz Kwiecień’s peerless Malatesta. There was some epic opera too – I finally lost my live Parsifal virginity to an electrifying Violeta Urmana as Kundry in Vienna. The sound of those silky strings, pungent brass not to mention those bells was something unforgettable. 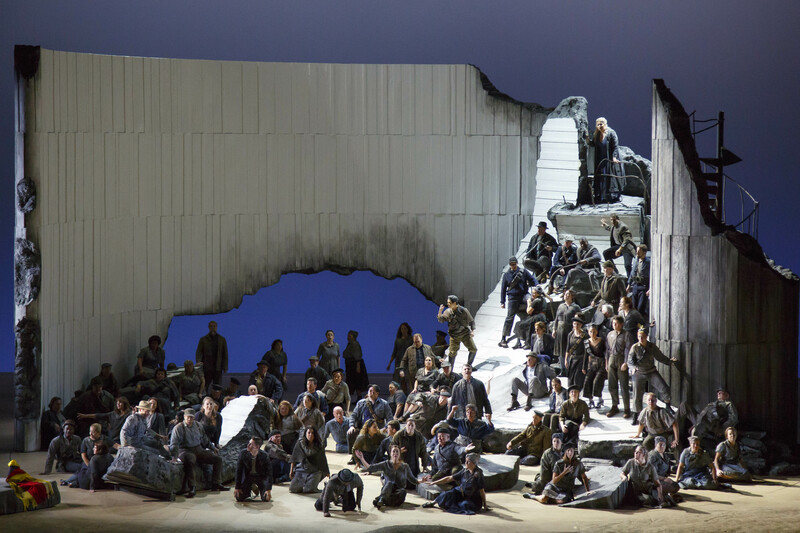 In Chicago, Lyric Opera gave everything they had to a Troyens that was very special indeed, notable for an excellent Cassandre from Christine Goerke and an unsparing Didon from Susan Graham. What stood out was the outstanding discipline of the Lyric Opera chorus who really excelled themselves. There was much French opera this year, confirming my impression that globally the standards of French diction are much improved. In Paris, Spontini’s Olympie was superbly done with Karina Gauvin fabulous in the title role, Kate Aldrich wonderfully unhinged as her mother and Jérémie Rhorer’s thrilling conducting leading his own period instrument orchestra. In Berlin, a Cendrillon and a Hoffmann were so vivid verbally that I turned off the seat-back translation system since every word was clear. Both benefitted from insightful productions by Damiano Michieletto and Barrie Kosky respectively. 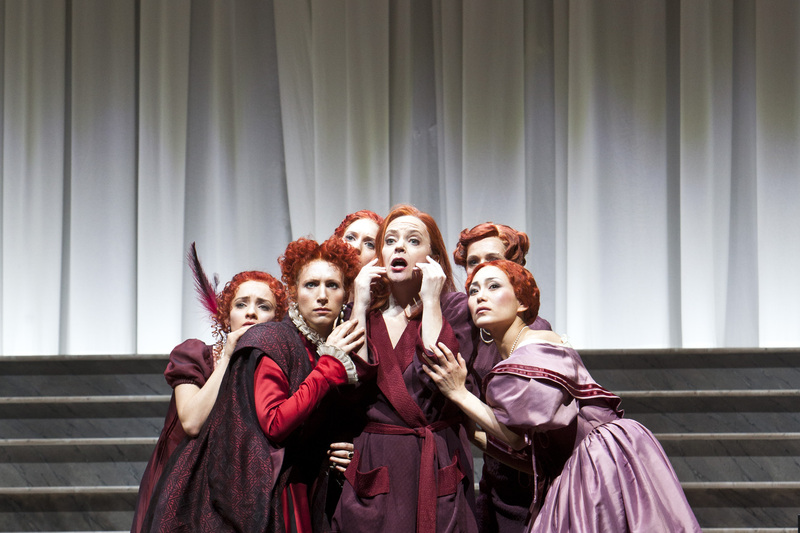 In Brussels, a very well sung Béatrice et Bénédict was let down by a production that tried to transform the work from a comedy into a tragedy but benefitted from the tremendous Béatrice of Michèle Losier. Back in Berlin, the Komische Oper really is going from strength to strength and Barrie Kosky’s Yevgeny Onegin was a moving mediation on love and loss, superbly brought to life by a youthful cast. Over in Madrid, the Teatro Real’s finest hour came with a performance of Castellucci’s staging of Moses und Aron one that showed that house at its very best. The house chorus was on blistering form and in total command of everything asked of them. Also on the Iberian Peninsula, I was privileged to see Anna Bonitatibus sing her farewell to Cherubino in Figaro – the way that she found the inner truth of an aria so often heard as ‘voi che sapete’ and made it genuinely feel like new was very special indeed. Her Contessa was the lovely Anett Fritsch, whose ‘dove sono’ likewise made time stop with her stunningly beautiful ornamentation and easy line. This year I had the opportunity to visit the wonderful city of San Francisco and this is a city I very much hope to return to, soon. What a magical place the city by the bay is and what a fantastic opera company they have. I was privileged to see a superb Jenůfa with the great Karita Mattila on searing form as the Kostelnička and Malin Byström on radiant form in the title role, for once dispelling any doubts one might have had about her technique. There was another Jenůfa in concert this time also with Mattila in London, England that featured a very fine Czech cast. There hasn’t been as much symphonic music this year as in previous years but I was glad to see Vasily Petrenko bring his Oslo orchestra to London with some Shostakovich. I also got to see my first ever Mahler on a period instrument orchestra with the Orchestra of the Age of Enlightenment playing the Resurrection symphony. It wasn’t note perfect but it was absolutely revelatory, bringing so much more of the music’s Jewishness than one often gets to hear. This year really has been musically excellent but I ask you to indulge me while I choose three shows that for me, really were hors concours this year. In San Francisco this June I got to hear what felt like some golden age singing as Ana María Martínez sang Elisabetta in Don Carlo. There was something magical in her phenomenal breath control and immaculate phrasing. The staging wasn’t especially memorable but Nicola Luisotti most definitely cemented his reputation as one of the world’s leading Verdians. The evening passed by in a heartbeat and even though some of his tempi were slow, they felt just right. The evening also benefitted from Mariusz Kwiecień’s noble, lyrical and deeply-moving Posa and Nadia Krasteva’s fabulously uninhibited Eboli. 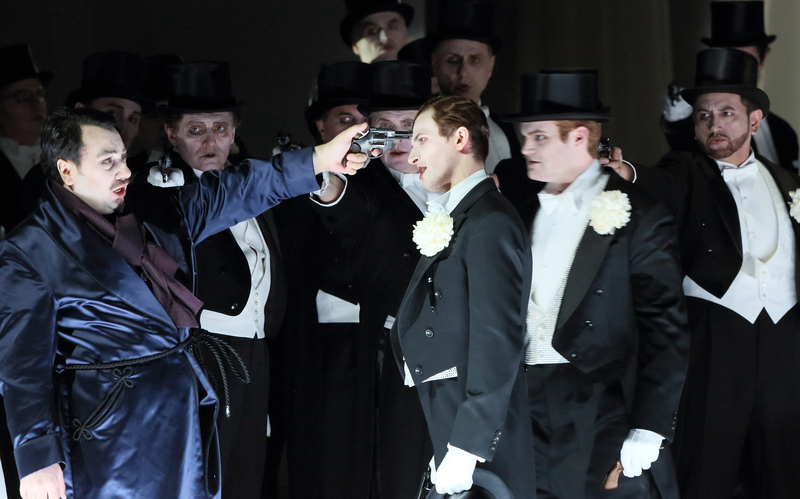 Michael Fabiano’s Carlo had Italianate passion and René Pape’s Filippo was deeply felt. This was definitely worth travelling half-way around the world to see. In Baden-Baden, a work hitherto considered weak seemed to take on a new life. Boito’s Mefistofele was thrillingly sung in an intelligent staging by Philipp Himmelmann and conducted by Stefan Soltesz with profound understanding. Erwin Schrott’s assumption of the title role I must admit was a taste I have yet to acquire but the remainder of the cast was world class. Alex Penda was a pained and moving Margherita, Angel Blue a glamorous and richly-sung Elena and the Philharmonia Chor Wien made a magnificent noise. Charles Castronovo was a glorious Faust – the security of his vocalism was astounding, whether singing a perfectly sustained pianissimo or ringing high notes, everything was in place. This was the kind of performance that makes one reassess a work as new. 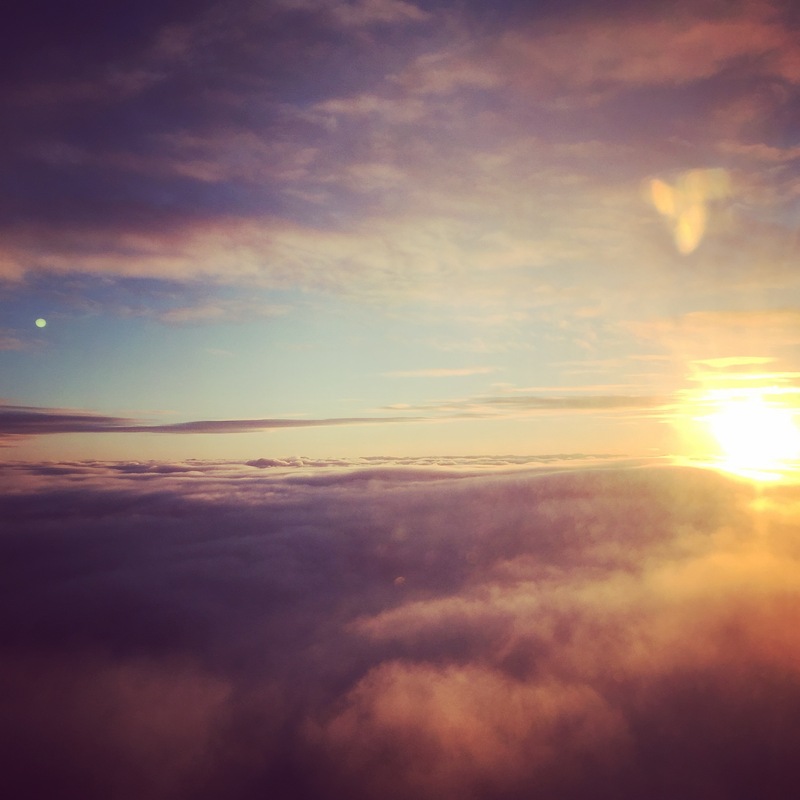 Then there was a transformative evening that I had in Berlin in February. David Hermann gave us such an insightful production of Vĕc Makropulos that I left the theatre incapable of thinking of everyday things such as eating or drinking. It featured a very fine ensemble cast but the evening was dominated by the great Evelyn Herlitzius who for those few hours simply became EM. Her vocalism was overwhelming and her acting so completely convincing. As she sang, looking over all the EMs she had been in her very long life, finally contemplating death, it really was impossible not to be moved. The memory of this performance and this inspired staging is one that will stay with me for a very long time to come. Inevitably, there are a lot of shows that I haven’t mentioned here but musically, it has certainly been a very fulfilling year. Ultimately what struck me is that in terms of performance practice and production values, we really are living in a golden age. It’s easy for what has happened to be overshadowed by other events. Yet we have to remember that great art is what carries us through these dark days – either by making us engage and reflect on them or by giving us some escapism and refuge. I wish you all my warmest wishes for 2017 and many more fulfilling operatic adventures to come. Bonne année. If you value the writing on this site, please do consider making either a regular donation via the Patreon page set up or a one-off donation via Paypal. All donations received help maintain the wide-ranging and independent coverage this site is known for. What an incredible range of performances- I am in awe. Thank you for this wonderfully vivid roundup.